Handmade trestle bench and tea table. The trestle bench is modeled after a handmade Swedish bench Benson found in a cabin he renovated on Big Island, Lake Minnetonka, Minnesota, ca. 1987. 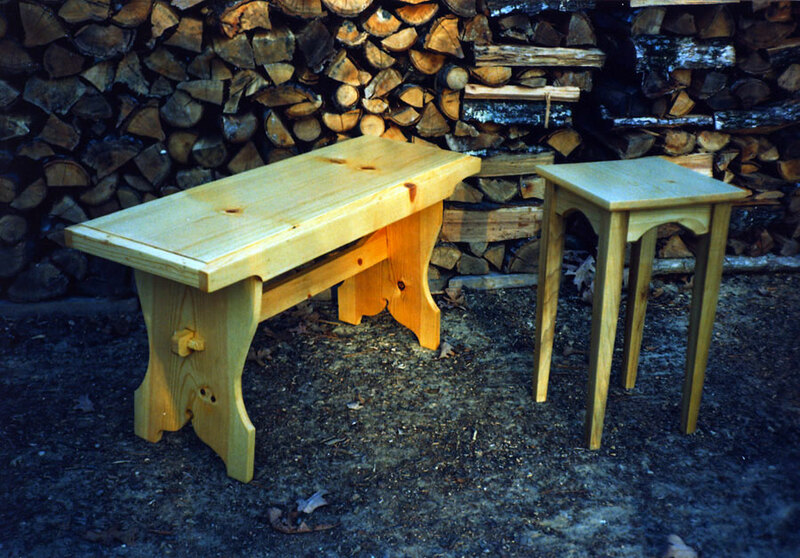 Benson built his bench using western pin and he used yellow poplar to build the tea table. 1990, scanned color print, 3 x 5 in. (7.62 x 12.7 cm). Ozark Series. © 2008 by Allen C. Benson.